some facts about that funky demo..
featuring music by Workbench, a so great musician. otherwise, know that this demo was first planned and made in VGA for a buenzli party. But it miserably crashed 10 minutes before the deadline and we were never able to finish it in time. (remember the "we are sorry" intro). A REALLY nice text mode demo, just sit back(far back), relax and enjoy the show. Er, I didn't like the music at all, but otherwise this was a great textmode prod, maybe the best I've ever seen. Great graphics and textures. Indeed, one of the best textmode demos ever. Gotta love it. good idea to use the txt mode! The effects fit very nicely to text mode. Also music and graphics are sweet. Nice little textmode with funky tune and awesome 3D flying carrots. 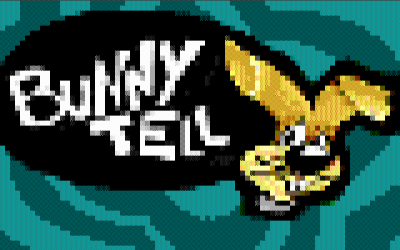 wow, really cool textmode demo with some funny ideas. page created in 0.017567 seconds with 15 queries.